As a specialist in leak testing and other technical solutions for leakage testing, APT has developed a handy software for leak testing devices. 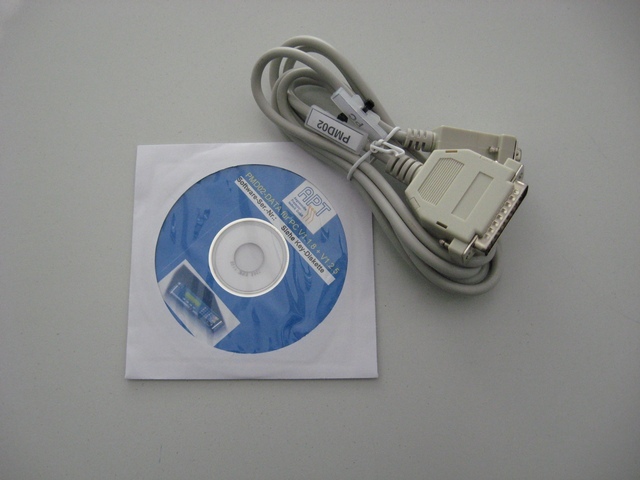 The software packages are used to record test results or measurement curves, to store and evaluate these data on the computer. Simple measurement result logging with data storage in a dBase file (Excel compatible). In a graphics window, the scatter is displayed over all the measurements taken. The assignment to a particular test program can be set individually. Using this data, a small capability analysis with Cg and Cgk values is also carried out. The result of this analysis can be output in an Excel sheet for further evaluation. Recording of the measurement curves with recording of the corresponding results data and storage of the curves and data in dBase files (Excel compatible). The curves are displayed in a graphics window. Within the recorded curves can be scrolled with a simple forward / back function. In an additional evaluation window several curves can be superimposed for better evaluation. 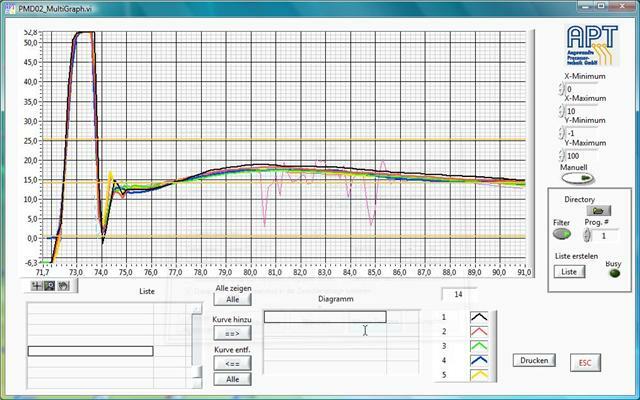 The analysis software is for the various device series in Different versions, which differ in particular in the range of functions. However, the computer requirements with respect to the required operating system are identical. For all software packages, you need a Windows PC with one of the following operating systems: Windows XP SP3, Windows Vista, Windows 7, Windows 8, Windows 10. Each software supports all variants and models of the respective series. The software for the flow tester of this model series has two main functions. On the one hand, the recording of results data as well as on the other hand the scatter determination and capability analysis. Possible communication protocols are the two interfaces RS232 and Ethernet (TCP / IP) as well as the print protocols of the PMF01 test devices with the setting DATA. 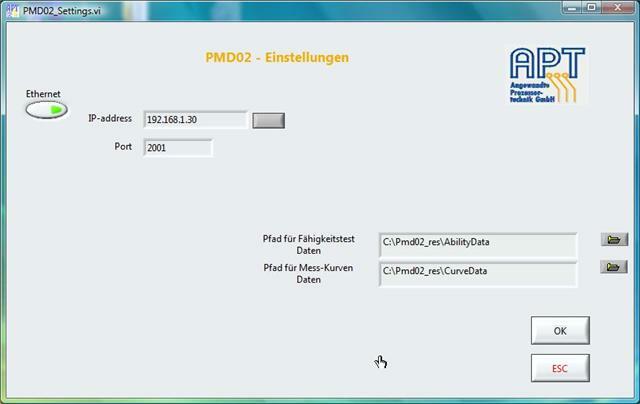 In addition to the above-mentioned software packages PMF01-Analyze and PMD02-Analyze, free demoversions (see downloads) are available for initial tests with some functional restrictions. Enter to use the demo version the serial number. 99999999. 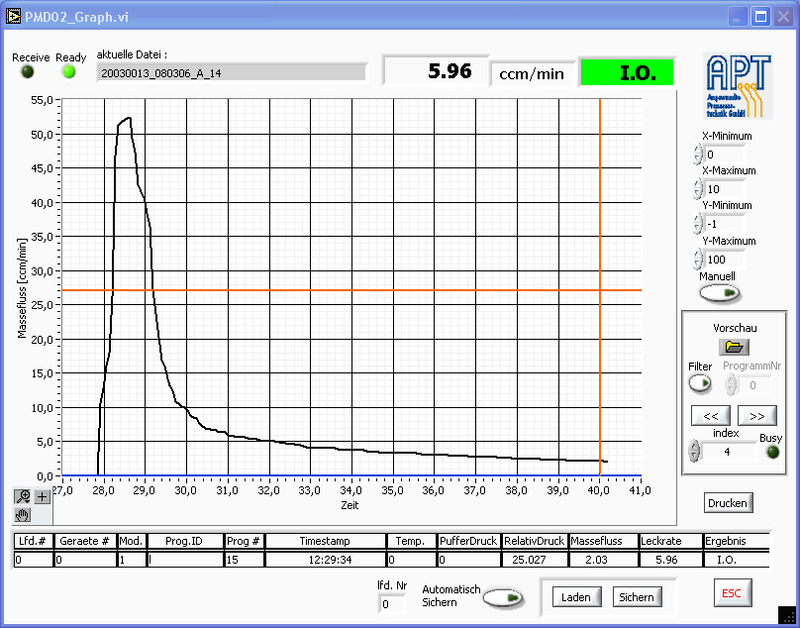 Do you have any questions about the compatibility of our software for your leak test device? We are always at your disposal as a reliable contact person. Start your inquiry now and use the pre-prepared form.